Parent get calls from their kids all the time telling them some story about why they aren’t home on time. Now, parents can find out if their kids are telling them the truth when they are out driving the family car. Subaru just announced new Subaru Starlink Vehicle Alerts on the all-new 2019 Ascent 3-Row family hauler, 2019 Forester SUV, Crosstrek small SUV, and Impreza compact. Parents can now set boundary, speed and curfew alerts on their new Subaru so they know if the kids are up to something they shouldn’t be doing. In the video below, we can just see the daughter saying, “really, dad?! ?” as she sits in the car with her friend. Even if the kids aren’t too excited about the new feature, parents will love it. It can give parents more control and some piece of mind as the new drivers in the family take off in the family Subaru. The Japanese automaker is offering the Vehicle Alerts on the MySubaru app for the first time. There are three types of vehicle alerts for parents to keep tabs on the kids. The Boundary Alert can let you know if your Subaru enters or exits a pre-set area. Speed Alert tells you if your Subaru exceeds a pre-set speed, and the Curfew Alert notifies you if your Subaru is in operation after your selected time. Subaru just launched the new app and it’s available on the all-new 2019 Subaru Ascent, new fifth-generation 2019 Subaru Forester, 2019 Subaru Crosstrek, and 2019 Subaru Impreza. Subaru will likely offer it on more Subaru vehicles as the new models roll out. Even if the kids aren’t too excited about the new parental control app, parents will love it. 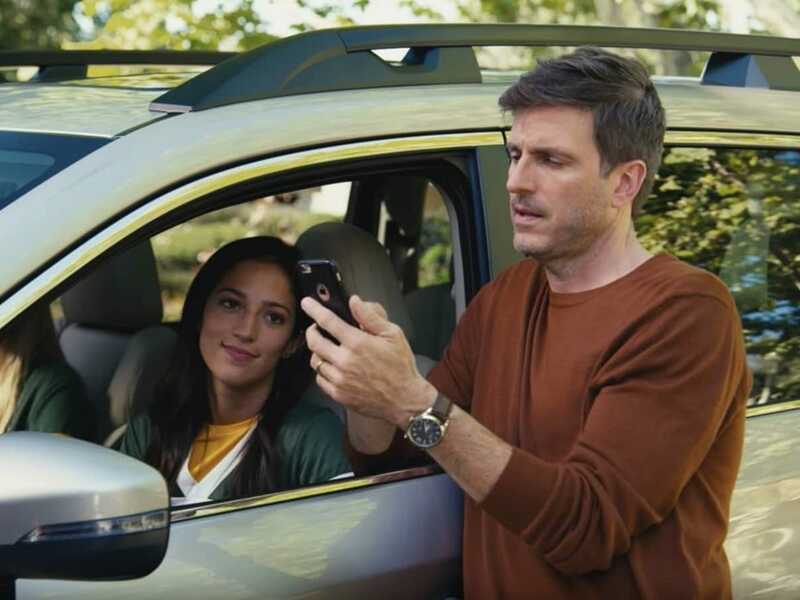 Watch Boundary, Speed, Curfew Alerts (2019 SUBARU STARLINK New Features) video.